← A Positive Rejection? Say What? 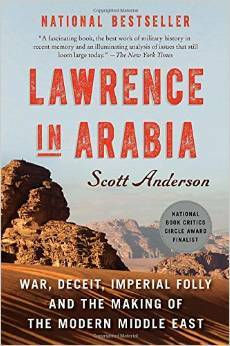 I began reading the book Lawrence in Arabia after hearing author Scott Anderson speak at a local book event. The book’s subtitle is War, Deceit, Imperial Folly and the Making of the Modern Middle East. As you probably figured, my motivation for reading was to try to have a better understanding of today’s Middle East and its problems. Anderson’s approach is not to focus solely on Thomas Edward Lawrence (Lawrence of Arabia) and his role in the events of the time. He combines his story with that of Curt Pruffer, German spy, William Yale, American spy, and Aaron Aaronsohn, Israeli spy. Schemes, battles, betrayals, and events are explored and woven together as ignited by these men. The research done by the author is extensive. 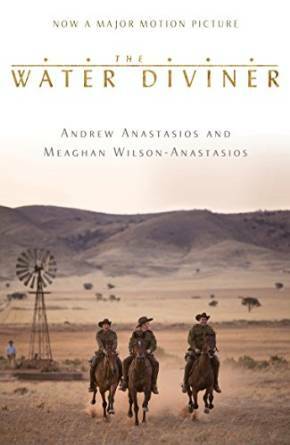 As I read Anderson’ account of the Battle of Gallipoli – how it came to pass and the after effects – the film The Water Diviner opened in theaters to mixed reviews. But because the three sons of the film’s protagonist Joshua Connor played by Russell Crowe were thought to all have died at the Battle of Gallipoli, I was in. The film takes you to that battlefield, into the local culture, and into military attitudes of the time. It depicts the strange happenstances of war. 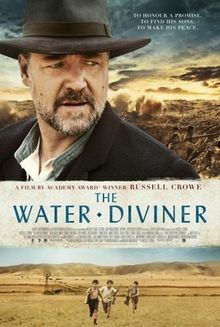 The film is based on the book The Water Diviner by Andrew Anastasios. 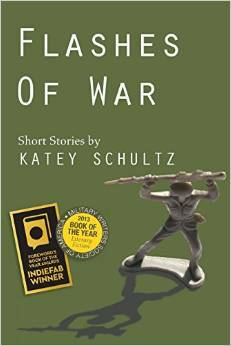 Also coming into my hands during this time was a collection of short stories by Katey Schultz called Flashes of War. This collection focuses on today’s war in Iraq, Afghanistan, and surrounding area. Schultz keeps you close to her characters as they survive or recover or die, as they try to make sense of their world. She explores the lives and feelings of survivors on both sides of the war. I was touched by the humanity of it. In the book are three pieces covering seven pages. The stories have the following titles: “WIA,” “MIA,” and “KIA.” Very powerful. As I read and tried to understand, making connections and drawing conclusions, I also realized war’s contribution to literature. Writers weave profound stories and works of research to understand events, feelings, beliefs. To give us heroes as we read and try to offer a modicum of understanding as to how man can keep doing inhumane acts to his fellow man. With Lawrence in Arabia and Flashes of War, I read each book in short sessions. Lawrence because I needed to absorb the machinations of the times, the intrigue, the motives of the key players, and the then map of that part of the world. Flashes of War because the impact of each story hit an emotional place, drawing on empathy, sympathy, and sadness; drawing on resilience, coping, and surviving. I haven’t read The Water Diviner, but plan to. If you want to explore these companion pieces, I think you’ll find they dovetail together to add some understanding about a current part of our world. This entry was posted in Reading and tagged Andrew Anastasios, Flashes of War, Katey Schultz, Lawrence in Arabia, reading, Russell Crowe, Scott Anderson, The Middle East, The Water Diviner, war, writing. Bookmark the permalink. Glad you stopped by, Ruth. Miss our class. Thanks for sharing. I look reading books that dovetail. Have you read, Gertrude Bell: Desert Queen? Very interesting as it includes how the British created countries like Iraq with no regard to tribal boundaries and hatred. No, I haven’t, Cyndy. Thanks for the suggestion! Very interesting, Carol. A good study of a current situation’s background, I’m sure. Thanks for the blog. Thanks for stopping by. I learned about Middle East history by reading Laurence in Arabia. The film made for some good visuals. I also want to read the book mentioned in the comments. Flashes of War is a collection of flash fiction, bringing the situation into today. couldn’t help but share this intriguing post…I’m reading, I’m reading! Thanks for the share! Interested in your thoughts. Blood Brothers by Elias Chacour has been recommended to me. Very informative, thanks! I enjoy your writing style. I used to write a lot years ago, and I’m just beginning again. I feel very rusty right now. Reading good pieces helps to jog my brain more. Thank you. Glad you’re returning to writing. Rust is a temporary thing!